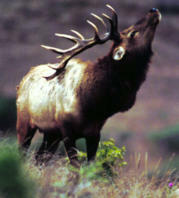 One of the most impressive sounds in the world is that of a Bull Elk bugling. I was deer hunting at Fort Hunter Liggett in King City, CA. It was a cool morning. The fog had just started to lift when I heard a bull bugle. I still get a chill no matter how many times I hear this sound. 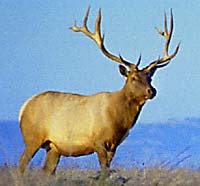 Even though the Tule Elk is the smallest of the four sub-species of Elk a mature bull is still an impressive animal.